When you arrive at the Nottingham venue you will be greeted by our friendly professional hosts. Once everyone has arrived and registered we will briefly explain the format of the evening. The ladies will then be asked to make their way to their allocated table. Once the ladies are seated the gentlemen will be asked to proceed to their first date. 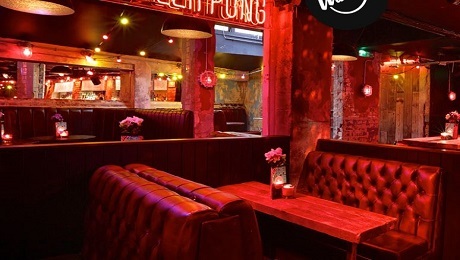 Take a trip underground into the world of The Walrus, Nottingham’s most eclectic dive bar. 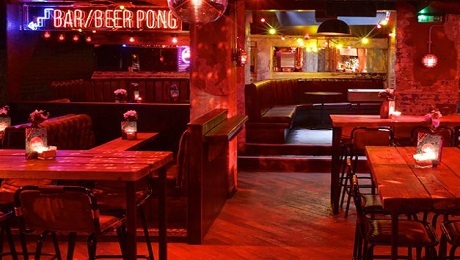 With neon lit quirky vintage touches & some of the best cocktails in the city, we boast four full size American beer pong tables, plenty of seating and a playlist to die for.